A wide selection of healthy annuals, perennials, vegetable starter plants, and more grown on site in an environmentally responsible manner using natural controls instead of pesticides. Healthy, beautiful, unique annuals and perennials, distinctive hanging baskets and patio planters, vegetable starter plants–ecologically grown on-site using beneficial insects and micro-organisms, so our plants are safe for pollinators, hummingbirds & butterflies. Among our specialties: “Variety Mix” vegetable starter packs so you can sample a number of different individually named tomato (or pepper, or broccoli, or kale, etc.) plants, selected for flavors, season extension, disease resistance. Our own well-aged chicken manure boosts your vegetable garden! Sold by the 5-gallon bag daily, or we can bulk-load your pickup truck by appointment. Helpful, knowledgeable staff do our best to answer your questions. We love to share the awesome world of plants and gardening! Come visit us to start your seasonal PLANT CARD which earns you 12% credit for everything you buy. You redeem your Plant Card in July for any plants or products that we produce on the farm. We hire and train talented local people. We are always learning more about plants and ways to help our customers. 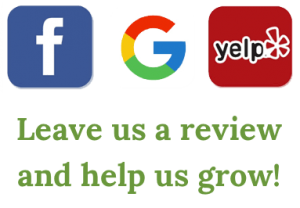 We listen to our customers and our goal is to meet your needs and to have wonderful healthy plants for you to bring home.